Your eyesight is probably the most important of your five senses. Eye health goes hand-in-hand with general health, but there are a few nutrients that are especially important for the eyes. These nutrients help maintain eye function, protect the eyes against harmful light and reduce the development of age-related degenerative diseases. 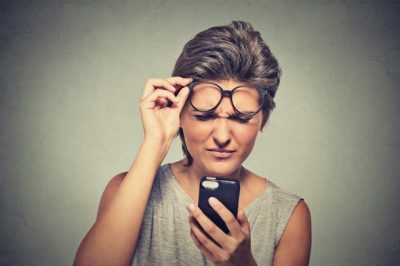 This article lists the main nutrients that will maximize your eye health, their dietary sources and potential benefits. Cataracts: A condition in which the eye becomes clouded. Age-related cataracts are a leading cause of vision impairment and blindness around the world. Diabetic retinopathy: Associated with diabetes and a major cause of visual impairment and blindness, this condition develops when high blood sugar levels damage the blood vessels in the retina. Dry eye disease: A condition marked by insufficient tear fluid, which causes the eyes to dry up and leads to discomfort and potential visual problems. Glaucoma: A group of diseases characterized by progressive degeneration of the optic nerve, which transfers visual information from the eyes to the brain. It leads to poor eyesight or blindness. Macular degeneration: The macula is the central part of the retina. Age-related macular degeneration is one of the main causes of blindness in developed countries. Although your risk of getting these conditions depends to some extent on your genes, your diet may also play a major role. Bottom Line: The most common eye diseases include cataracts, macular degeneration, glaucoma and diabetic retinopathy. Your risk of developing these diseases depends on your age, genetics, chronic diseases and lifestyle. Vitamin A deficiency is one of the most common causes of blindness in the world (1). This vitamin is essential for maintaining the eyes’ light-sensing cells, also known as photoreceptors. If you don’t consume enough vitamin A, you may experience night blindness, dry eyes or more serious eye diseases, depending on how severe your deficiency is (2). Vitamin A is only found in animal-derived foods. 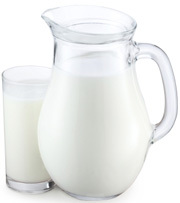 The richest dietary sources include liver, egg yolks and dairy products. However, you can also get vitamin A from antioxidant plant compounds called provitamin A carotenoids, found in high amounts in some fruits and vegetables. Provitamin A carotenoids provide around 30% of people’s vitamin A requirements, on average. The most efficient of them is beta-carotene, which is found in high amounts in kale, spinach and carrots (3, 4). Bottom Line: Vitamin A deficiency may lead to night blindness and dry eyes. Vitamin A is only found in animal-derived foods, but the body can convert plant-based carotenoids into vitamin A.
Lutein and zeaxanthin are yellow carotenoid antioxidants known as macular pigments. This is because they are concentrated in the macula, the central part of the retina. The retina is a layer of light-sensitive cells on the back wall of the eyeball. Lutein and zeaxanthin act as a natural sunblock. They’re thought to play a central role in protecting the eyes against harmful blue light (5). Controlled studies show that the intake of lutein and zeaxanthin is proportional to their levels in the retina (6). One observational study in middle-aged and elderly people showed that consuming 6 mg of lutein and/or zeaxanthin per day significantly reduced the risk of age-related macular degeneration. The researchers also discovered that those with the highest intake of lutein and zeaxanthin had a 43% lower risk of macular degeneration, compared to those with the lowest intake (7). However, the evidence is not entirely consistent. A meta-analysis of six observational studies concluded that lutein and zeaxanthin may only protect against late-stage age-related macular degeneration, but don’t affect early development of the disease (8). On the other hand, other observational studies suggest that lutein and zeaxanthin may also reduce the risk of cataracts (9). Lutein and zeaxanthin are usually found together in foods. 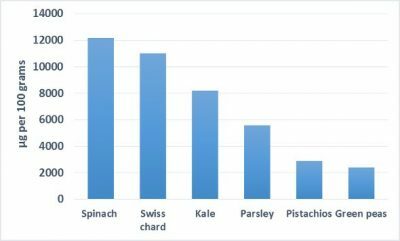 The chart below shows some of their richest dietary sources, according to the USDA (10). Leafy greens are not the only good sources of these carotenoids. Egg yolks, sweet corn and red grapes may also be high in lutein and zeaxanthin (11). In fact, egg yolks are considered to be one of the best sources because of their high fat content (12). Carotenoids are better absorbed when eaten with fat, so it is an excellent idea to add some avocado or healthy oils to your leafy vegetable salad (13, 14). Bottom Line: A high intake of lutein and zeaxanthin may reduce your risk of eye diseases such as macular degeneration and cataracts. The long-chain omega-3 fatty acids eicosapentaenoic acid (EPA) and docosahexaenoic acid (DHA) are important for eye health. DHA is found in high amounts in the retina, where it may help maintain eye function. It is also important for brain and eye development during infancy. For this reason, DHA deficiency can impair vision, especially in children (15, 16, 17, 18). Evidence also shows that taking omega-3 supplements may benefit those with dry eye disease (19, 20, 21, 22). Dry eye disease occurs when the eyes don’t form enough tear fluid. This causes the eyes to become excessively dry, leading to discomfort and visual problems. One study in people with dry eyes showed that taking EPA and DHA supplements daily for three months significantly reduced dry eye symptoms by increasing the formation of tear fluid (20). Omega-3 fatty acids may also help prevent other eye diseases. A study in middle-aged and elderly people with diabetes found that taking at least 500 mg of long-chain omega-3 fatty acids daily may reduce the risk of diabetic retinopathy (23). In contrast, omega-3 fatty acids are not an effective treatment for age-related macular degeneration (24). The best dietary source of EPA and DHA is oily fish. Additionally, omega-3 supplements derived from fish or microalgae are widely available. 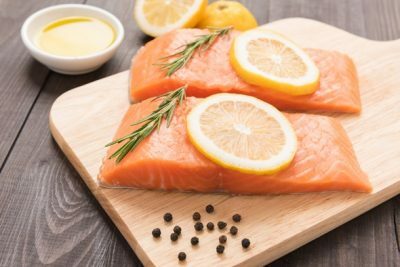 Bottom Line: Getting adequate amounts of the long-chain omega-3 fatty acids EPA and DHA from oily fish or supplements may reduce the risk of several eye diseases, especially dry eye disease. Gamma-linolenic acid is an omega-6 fatty acid found in small amounts in the diet. Unlike many other omega-6 fatty acids, gamma-linolenic acid appears to have anti-inflammatory properties (25, 26). The richest sources of gamma-linolenic acid are evening primrose oil and starflower oil. 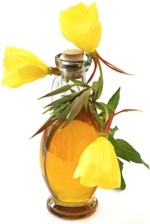 Some evidence suggests that taking evening primrose oil may reduce the symptoms of dry eye disease. One randomized controlled study gave women with dry eyes a daily dose of evening primrose oil that provided 300 mg of gamma-linolenic acid. The study found that their symptoms improved over a six-month period (27). Bottom Line: Gamma-linolenic acid, which is found in high amounts in evening primrose oil, may reduce the symptoms of dry eye disease. The eyes require high amounts of antioxidants — more so than many other organs. The antioxidant vitamin C appears to be especially important, although controlled studies on its role in eye health are lacking. The concentration of vitamin C is higher in the aqueous humor of the eye than in any other body fluid. The aqueous humor is the liquid that fills the outermost part of the eye. The levels of vitamin C in the aqueous humor are directly proportional to its dietary intake. In other words, you can increase its concentration by taking supplements or eating foods rich in vitamin C (28, 29). Observational studies show that people with cataracts tend to have a low antioxidant status. They’ve also found that people who take vitamin C supplements are less likely to get cataracts (30, 31). Vitamin C appears to play a protective role in the eyes, but it is unclear if vitamin C supplements provide added benefits for those who aren’t deficient. High amounts of vitamin C are found in many fruits and vegetables, including bell peppers, citrus fruits, guavas, kale and broccoli (32). Bottom Line: Vitamin C is an important antioxidant, and getting enough vitamin C may protect against cataracts. Vitamin E is a group of fat-soluble antioxidants that protect fatty acids from harmful oxidation. Since the retina is highly concentrated in fatty acids, adequate vitamin E intake is important for optimal eye health (18). Although severe vitamin E deficiency may lead to retinal degeneration and blindness, it is unclear whether supplements provide any additional benefits if you are already getting enough from your diet (33, 34). A meta-analysis of observational studies suggests that consuming more than 7 mg of vitamin E daily may reduce the risk of age-related cataracts by 6% (35). In contrast, randomized controlled studies indicate that vitamin E supplements do not slow or prevent the progression of cataracts (36). 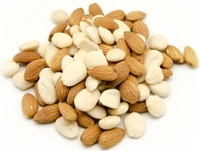 The best dietary sources of vitamin E include almonds, sunflower seeds and vegetable oils, such as flaxseed oil (37). Bottom Line: Vitamin E deficiency may lead to visual degeneration and blindness. For those who aren’t deficient, supplements probably won’t provide added benefit. The eyes contain high levels of zinc (38). Zinc is a part of many essential enzymes, including superoxide dismutase, which functions as an antioxidant. Zinc also appears to be involved in the formation of visual pigments in the retina. For this reason, zinc deficiency may lead to night blindness (39). In one controlled study, elderly people with early macular degeneration were given zinc supplements. The participants’ macular deterioration slowed and they maintained their visual sharpness better than those who got a placebo (40). However, further studies are needed before strong conclusions can be reached. 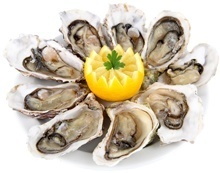 Natural dietary sources that are abundant in zinc include oysters, meat, pumpkin seeds and peanuts (41). Bottom Line: Zinc plays an important role in eye function. One study suggests that supplements may slow the early development of macular degeneration in elderly people. Many chronic diseases are preventable. You can avoid or delay them by following healthy lifestyle habits, such as a wholesome diet and regular exercise. This also applies to certain degenerative eye diseases. Getting enough of the nutrients listed in this article may help reduce your risk. However, don’t neglect the rest of your body. Chances are, a diet that keeps your whole body healthy will keep your eyes healthy too.